Riverside Directional Drilling, Inc. is a full-service trenchless utility contractor providing the highest quality construction services to business and industry. Riverside Directional Drilling specializes in directional boring, pulling pipes from 2” to 30” diameter. Riverside Directional Drilling performs all forms of trenchless pipe installation including Pilot tube micro tunneling, guided and unguided auger boring, pipe ramming, pipe enveloping, and pipe bursting. When additional help is necessary, Riverside Directional Drilling partners with a team of subcontractors who share Riverside Directional’s high standard of quality and service. Riverside Directional Drilling’s key employees have over 15 years of experience and have a proven reputation for integrity and value. Riverside Directional Drilling has solidified its market position with business in the areas of utility construction and horizontal wells. We continue to expand into different areas of underground construction by embracing new technologies as we have over the last ten years, while keeping the highest standards of quality and service. 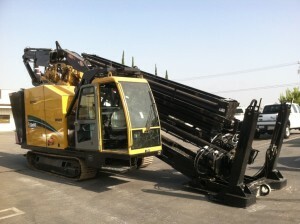 Riverside Directional Drilling, Inc. was founded and incorporated in the state of California in 2003. Riverside Directional Drilling, Inc. is fully insured and bondable. We carry general liability and commercial auto insurance. All of our equipment is also fully insured, giving you peace of mind when contracting with us for your next building project. Certified Driller for Southern California Gas Co.